Julie is best known for her Yoga Nidra guided meditation work. She is thrilled by how much people benefit from these powerful meditation techniques. 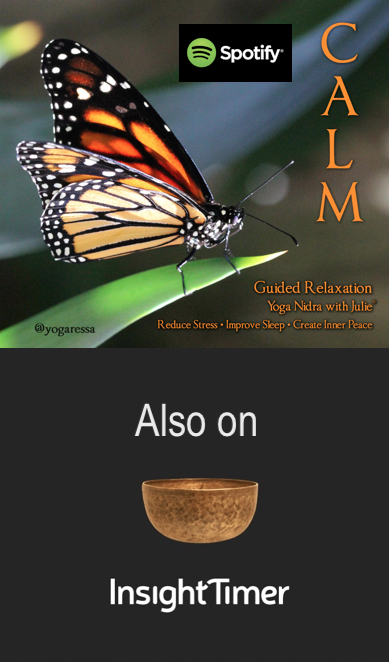 Three simple things that help to bring balance, clarity and calm into my life. Simple, yet not always easy. Explore these concepts, commit to them regularly, and you’ll experience their inevitable positive impact. May you find the recipe that works for you, to live your most meaningful and joyful life; for your benefit and also for the benefit of others.